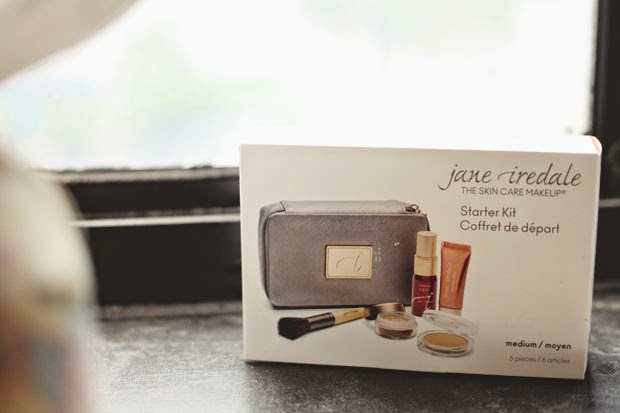 Recently I had the opportunity to test out Jane Iredale's starter kit and I'm pretty excited to share my thoughts on it with you guys. 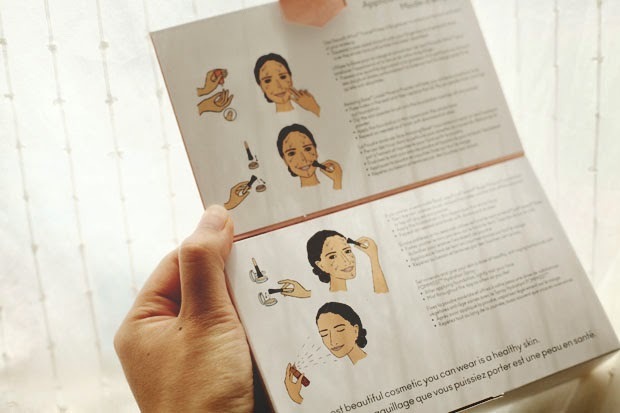 I'm the type of person who sticks to the same exact beauty routine every single morning (with the exception of heavier eye make-up or darker lips for those night outs). If I find something that works with my skin type and my complexion, I stick with it. But at the same time, there can always be something better out there, if you give it a chance (hence why I never turn down a free sample...although I don't know why you'd turn down anything free). 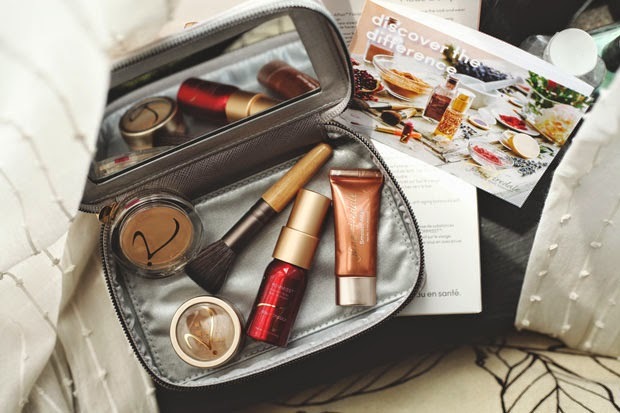 Jane Iredale put together a starter kit which includes a facial primer, two different types of foundation (both with SPF 20), an application brush, and a hydration spray. I don't have the best skin, to be honest, so while testing it out, I used my usual concealer (from Benefit) for any blemishes. My absolute favorite part about the kit was how weightless it was after applying everything. I know you probably hear that all the time in make-up reviews but I don't know how else to explain it. My face just felt fresher, which I think was partially because I topped everything off with the hydration spray, which was one my favorite products. My second favorite was definitely the facial primer which went on smoothly and also had the same lightweight feeling. The foundations didn't stand out to me much and I would probably stick with my current brand, Benefit, due to the larger variety of shades. The one plus side though is the SPF 20, since I know I'll be spending a lot of time in the sun. I'll probably just brush on a light covering of the powdered foundation over the area most prone to burn for that extra bit of protection. Have any of you given this bad boy a try yet? Let me know if you guys have any other suggestions! This is a Vogue Influencer sponsored post. All opinions are of my own. High Jen, I'm Monique from Holland and sell Jane Iredale in my beautyshop. I saw your review and want to tell you that in those starterkits there are not so much colours but in the normal packages we have about 36 colours, so for every skin colour a match. I just wanted you to know. Thanks for you review! !